Last October I was blessed to attend my first AdobeMax Conference. I'd heard about from co-workers who when in past years but nothing could do it justice. 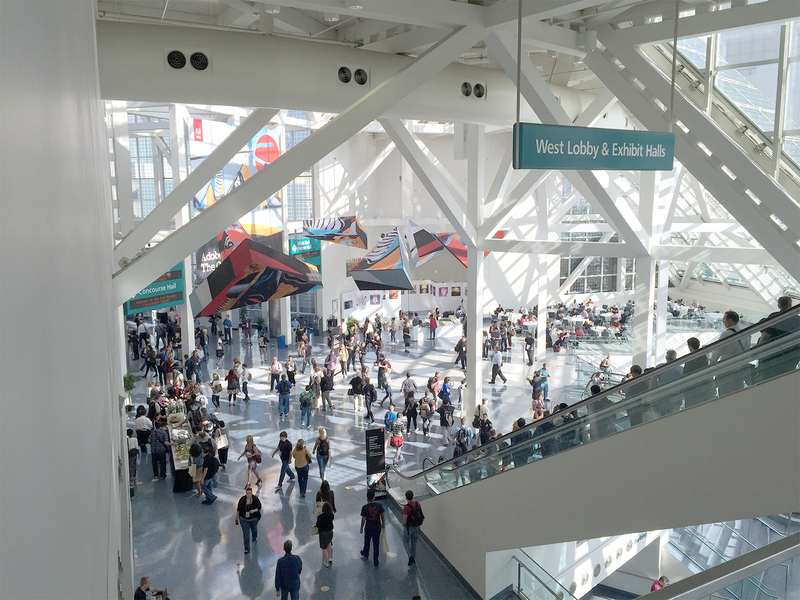 It was 6 days of digitally creative bliss + lots of free "good" food. There were sessions covering almost every Adobe product - Photoshop, Illustrator, Muse, Dreamweaver, Premier, & more. There were concerts and parties at night and creative activity stations to do cool stuff like make your own t-shirt or stamp. It was a blast! The lovely gentleman in the King Henry VIII costume is Adobe's Sr. Creative Director Russell Brown telling us about one of the projects we would be working on in the pre-conference. The magical lady in green is my final project printed 8ft. tall. It was held in Los Angeles and it was my first time visiting LA. 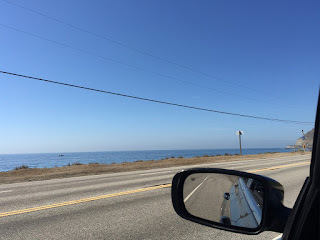 I had very little free time but I was able to accomplish my only sightseeing goal - driving on the Pacific Coast Highway. I drove from Ventura to Oxnard and I was really thinking that the really scenic parts would not be on this stretch. Boy was I wrong. Once I got past Malibu there were times when it was just me, the road, and the ocean. I cannot really swim but I LOVE the ocean! I could sit on the beach and listen to the waves forever. The conference was downtown so was my hotel. I was on the 22nd floor I think. Here are photos taken of the views. On my last night there we drove up the mountain thinking we were going to see the Hollywood Sign only to discover it's not lit up at night. This view of the City of Angels was worth it anyway. Be Blessed & Travel as often as you can!